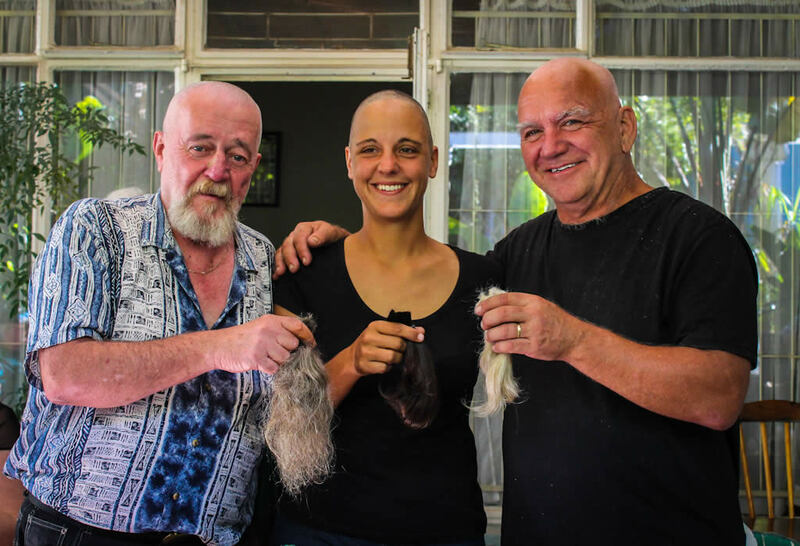 The idea of a Shavathon at Prestons was born out of the fact that Attie Nel, a regular at Prestons Restaurant, could not attend the official Cancer Awareness drive (Shavathon) held at the Montagu Country Hotel on 1st March this year - and neither could James Mulligan, the owner of Preston's Restaurant. This seemed to upset Attie to some degree, having lost a son recently to brain cancer. He could not even attend his son's funeral in Norway. He wanted to do something to remember his son by, so James suggested they do a head-shaving session at Prestons when James would join him as he too feel strongly about the Cansa cause, having lost his father and brother-in-law to cancer (not to mention a number of friends). Attie declared himself keen and so James started gathering sponsorships. The idea grew from there into what took place on Saturday past. "We drew up a form and started asking regular guests and visitors to Prestons whether they would sponsor us for the cause", said James. "The response was overwhelming! A visiting medical doctor was one of the biggest contributors with a R1000 donation - thank you to Dr Jurie Bester. Other donations poured in from so many - thank you Montagu! Prestons, we decided, would donate the money made from cigarette sales for the month, which amounted to R770, which we then rounded up to R800. A total of R4500 was fetched! Well done and respect to all those who contributed". The day came and many were there to witness the spectacle. Apart from Attie and James, Nadine Raeber, Henry Walker and Lourens Du Toit joined in to have their heads shaved for the cause. James Mundey, a local talented musician gave his time and talents to entertain the spectators. Prestons would like to thank him sincerely, as well as Janey for doing the actual shaving, a stirling job she did too!